Read this before purchase! All users of this website are bound by these terms. All of our services offer no refunds for client cancellations or missed scheduled times!! By purchasing tour guide services with Colorado Highlife LLC, you and your group or anyone you have purchased tickets for in your name, are agreeing and bound to the below terms. Anyone purchasing our services is responsible for communicating the terms of this agreement to your group or anyone you have purchased tickets for in your name. Find all of our Colorado Cannabis Tourism Information here. Colorado Highlife LLC does not assume any liability whatsoever for any injury, damage, death, loss, accident, incident, allergic reaction, arrest or prosecutions from the use of our services. These services are at your own risk. You must be 21 years of age or older. You must possess a valid government issued ID. If you do not have valid ID at time of service you will not be allowed in the vehicle, event or participate in our services and forfeit your payment. You are agreeing not to transport any cannabis products out of the state of Colorado. Customer shall be responsible for any harm and damages suffered by this company, its agents, employees, or third parties, including but not limited to the vehicle, in regard to breakages, cleaning, burns, or other interior or exterior damage to extent of the actual cost to repair or replace, Your credit card may be charged a minimum $250.00 damage fee for any damage to vehicles and/or equipment by you our your guests. We reserve the right to terminate your services without refund, for any client and or guest, for any and all reasons and behaviors, including but not limited to; overly intoxicated by alcohol, threatening, abusive, disruptive, or general nuisance, use of any narcotic drugs or illegal substances, asking a company representative to do or act illegally, talking of transporting cannabis and cannabis product out of state; while using or participating in our services. No video recording is allowed while using or participating in our services. Any and all activities on the tours, excursions, events or services we provide cannot be used for any media or commercial purposes. You cannot use any pictures of other guests or guides from the services we provide for any purpose, social media, blogs or commercial use without written consent. RESPONSIBILITY: Colorado Highlife LLC and/or agents and officers and/or suppliers of services pursuant to, or in connection with these itineraries, services, does not assume any liability whatsoever for any injury, damage, death, loss, accidents, incidents, arrests, prosecutions or delay to any person or property due to an act of negligence of or default of any hotel, carrier, restaurant, retail cannabis sales company or person rendering any of the services included in our tour or events or by an act of God. Further, no responsibilities are accepted for any damage or delay due to sickness, pilferage, labor disputes, machinery breakdown, quarantine, government restraints, weather or other causes beyond their personal control. No responsibility is accepted for any additional expense, omissions, delays, re-routing, rescheduling, cancellation or acts of any government or authority. The right is reserved to withdraw any program in this offer and/or make such changes in the program(s) as may be found desirable for the convenience of the parties and the proper carrying out of services we offer. Colorado Highlife LLC does not assume any responsibility for errors or omissions on the website. Please note that the persons, vehicles, establishments, places, attractions and other features depicted or described on this website may not be part of your actual tour depending on availability and circumstances. Colorado Highlife LLC does not share user information with third parties. Colorado Highlife LLC will use reasonable efforts to ensure that only our employees or consultants with a “need to know” will have access to your information. We do not release personal information about you as an individual to third parties. 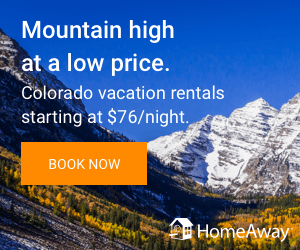 Colorado Highlife LLC encourages you to use a secure payment medium for forwarding your credit card details, as described during your booking correspondence. Both Visa and MasterCard are acceptable forms of payment. Please follow the steps suggested to ensure that your credit card details remain confidential. Once received by Colorado Highlife LLC, your credit card details will be handled only by approved employees or consultants within Colorado Highlife LLC, and forwarded in a secure manner to Colorado Highlife LLC’ bank for processing. Colorado Highlife LLC will not use your credit card details for any other purpose than payment processing, damage replacement and will not forward it to any exterior person or organization. Your credit card will be charged only for the amounts explicitly agreed upon and its details will not be held as security. Due to the nature of events, expeditions, tours, tour packages, excursions and/or other services provided;closure, weather, acts of God, government, may require changes to be made to the itineraries and/or the cancellation of certain services we offer. Every attempt will be made to adhere to the itineraries described within the limits of safety and time. In the event of changes, passengers have no right to any refund or other compensation, for these tours, excursions, accommodations and/or transportation’s, except where provided by the particular providers of said services. Expedition, excursions, and/or tour fees are based on group participation. Should you choose not to take part in any activity or make use of services provided, no refund will be made. Booking, Payments, Cancellations and Refunds – **No Refunds for payments made on services we provide unless we cancel!